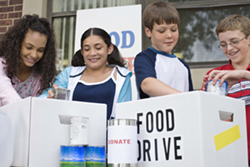 For non-profits, every penny counts, so finding the right CPA firm that can help you stretch your donations and use them effectively is essential. FOUDY CPA GROUP, PC affords a unique financial perspective because we have experience working with charities, churches, schools, and other non-profit organizations. We’re a cost-effective solution because we create a package of non-profit accounting services around the requirements of your organization, whether it’s large or small. Depending on your needs and budget, we can take over all or part of your accounting functions, including routine bookkeeping, preparing financial statements and managing cash flow. With our oversight and timely guidance, your non-profit will demonstrate evidence of a sound financial system that encourages donors to confidently make contributions to support your cause. With us in your corner, you can stop struggling with confusing tax compliance requirements. We constantly monitor revisions to the tax laws and make you aware of any changes that could impact your non-profit. We’ll help you avoid any income-generating activities and, at the end of the year, we’ll prepare your Form 990 tax return. Contact our Fort Wayne, IN CPA firm today at Fort Wayne: 260-432-4565 or Bluffton: 260-824-1040 or request a free initial consultation to learn more about our non-profit accounting and tax services.